You will learn how to communicate with animals and specifically communicate with the Dolphins, Humpback Whales and Manta Rays to receive their special messages and visions for you and our planet. This is a unique opportunity to fully immerse yourself into the healing vibrations of the dolphins and humpback whales of Hawaii. You will have opportunities to swim with the wild dolphins over 4 days. Hawaii has a special energy, an active volcano and the Hawaiian Volcano Goddess, Pele. The ocean is also very ‘alive’. Many people are said to have life changing experiences when they visit Hawaii and some feel like they’ve come back home. This is an animal communication focused retreat based on connecting deeply with the cetaceans of Hawaii. This retreat also includes swimming with the Spinner and Spotted Dolphins, watching the Humpback Whales and a night snorkel with the mystical Manta Rays. *We are in the hands of nature and if the boat companies cancel due to weather/sea conditions, you will receive a refund of that individual trip. Where possible they will reschedule first, but this is not always feasible. 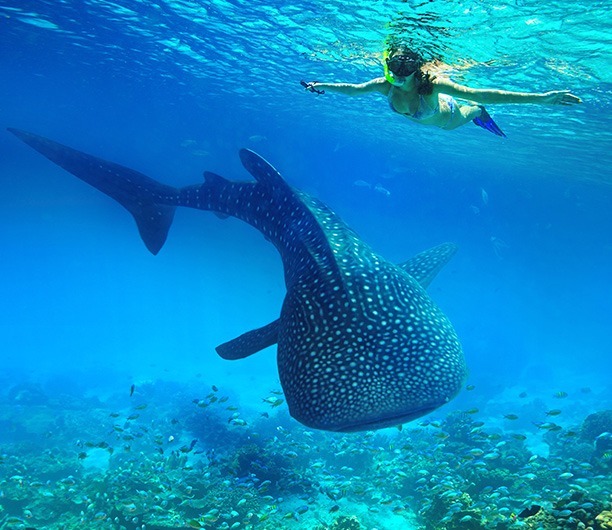 *To take part in the Manta Ray snorkel it’s a prerequisite to feel comfortable in the water and to know how to snorkel. You are under no obligation to enter the water. You can join in the sunset cruise and remain on the boat. How do I know if the Hawaii cetacean communication retreat is for me? Internationally renowned animal communicator, workshop facilitator and author, Pea Horsley is the UK’s most highly regarded animal communicator. In 2004, after 15 years as a theatre stage manager Pea returned to her first love – animals. Since then she has dedicated herself to helping people make a telepathic connection with animals to bring clear, direct understanding and aid healing relationships. Pea has an international private client practice and also offers mentoring 1-2-1 sessions to clients across the globe. In 2014, Pea co-facilitated a Dolphin Swimming Retreat in the Red Sea, Egypt and in September 2016 she co-facilitated a Whale and Dolphin Wisdom Retreat in the Pearl Islands of Panama. In 2017 she hosted her first solo retreat at the Bog Island of Hawaii with invited guest-speakers. Pea has 11 years experience hosting and leading workshops in Animal Communication all over the world. In 1978, Joan Ocean first met John C. Lilly, MD, cetacean researcher, and felt very moved by the information he shared. Joan felt a connection with Dr. Lilly and his extra-terrestrial experiences that seemed to stimulate her eventual relationship with the dolphins. The dolphins then began to contact Joan through meditation and expanded consciousness, but being a non-swimmer, she did not yet enter the water to meet them. After meeting Jean-Luc Bozzili and experiencing his dolphin-inspired, multi-media art presentation, Ms Ocean learned to swim and began swimming with cetaceans in oceans and rivers in many countries. When a California Gray whale came close to the island shores of British Columbia, and looked directly into her eyes, Ms Ocean experienced a communication between herself and the whale that changed her life forever. She understood cetaceans around the world are trying to communicate with us. Regarded as an authority on the subject of Dolphin Tel-Empathic Communication, she has developed the methodologies of her work, entitled Participatory Research, in which human and cetacean species are equally conducting research with each other. Joan has been swimming in the Hawaiian waters with the pods for the past 28 years and continues to conduct daily research with the cetaceans from her Dolphin Connection home in Hawaii. Identifying dolphins by name and noting their family groups, Joan has befriended Pods A, B and C in Kona, Hawaii. A Master of Science in Counselling Psychology, Joan Ocean is a psychologist, shaman and scientist who create environments that support people in transition from one lifestyle, one dimension, and one physical form to another. Joan Ocean is the author of Dolphin Connection: Inter-dimensional Ways of Living and Dolphins into the Future. Joan’s website.